House Democrats are expected to unveil legislation Friday that uses taxpayer money to match small-dollar campaign donations at the astonishing rate of 6-to-1, a policy that would likely benefit Democrats much more than Republicans. “When you do something that looks like a political stunt, it makes you look worse, not better, in the eyes of the public,” Zach Wamp, a Republican former congressman and co-chair of nonpartisan organization Issue One, told The Wall Street Journal. Republicans are especially wary of the small-dollar donation matching policy, which would turn a $20 donation into more than $100 for a candidate. Democrats consistently rake in more small-dollar donations than Republicans, according to a WSJ review of Federal Election Commission reports. 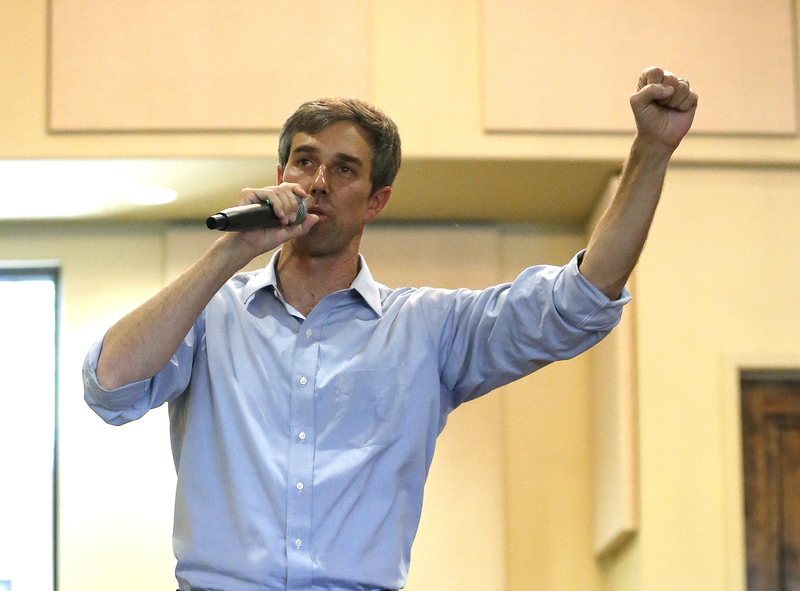 And Democrat Beto O’Rourke, who unsuccessfully challenged Republican Texas Sen. Ted Cruz in 2018, was the fourth most-popular congressional candidate for small dollar donations, according to the CRP. Independent Vermont Sen. Bernie Sanders tops the list. House Republicans are unlikely to bite on the legislation. “I haven’t been a supporter of taxpayer funding to run political campaigns. I don’t think that’s a good idea,” Republican Louisiana Rep. Steve Scalise said, according to WSJ Wednesday. The legislation would create a pool of taxpayer money (it’s unknown how much) that would be used to match small-dollar donations to encourage “grass-roots campaigning,” according to WSJ. WSJ described the proposed campaign finance overhaul as an “immediate” legislative priority for presumed House Speaker Nancy Pelosi. The legislation would also require certain politically active groups, including tax-exempt charitable organizations, to identify donors who give more than $10,000 over an election cycle. Democratic Maryland Rep. Steny Hoyer said House Republicans will be able to “offer their ideas and input” when the legislation is in committee, although it’s unlikely House Republicans will support it, according to WSJ. Hoyer is Pelosi’s number two, although they have long competed for House Democrat important roles. In addition, Senate Majority Leader Mitch McConnell is not planning on bringing the legislation to the Senate floor for a vote, according to WSJ. Meanwhile, Pelosi and House Democrats refuse to agree to fund President Donald Trump’s border wall amid the partial government shutdown. Pelosi also said she would not rule out pursuing impeaching Trump Thursday, the same day that the new 116th Congress convened.